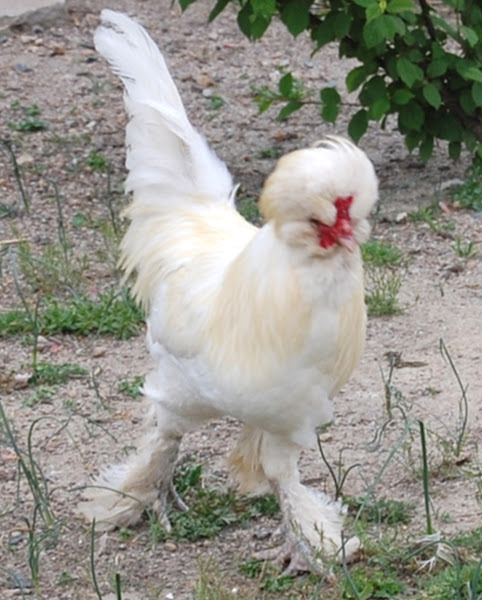 The Sultan chicken is a very old breed. It is an ornamental breed originating in Turkey. It is known as the Serai Taook in it’s native area and also called Serai Tavuk. The breed is very popular in Turkey. Sultan chickens are highly ornamental and the white birds were a favorite of Turkish Royalty for keeping in their gardens and were known as Sultans Fowl. The breed first arrived in England in 1854. And first came to America in 1867. The breed was first recognized by the American Poultry Association and was admitted into it’s Standard of Perfection in 1874. Today Sultan chicken is a very rare breed and also used for exhibition. It is listed as Critical on the American Livestock Breeds Conservancy’s Conservation Priority List. Review full breed profile, characteristics, behavior and temperament of Sultan chicken below. Characteristics Sultan chicken is a small, beautiful, fully feathered bird. It has a very special appearance with beautiful plumage. It’s decorative plumage includes;large, puffy crests, long tails, beards and profuse foot feathering. They have smaller and bright red colored V-Shaped combs. Their combs are almost entirely hidden under feathering. The neck has a very heavy plumage which gives the head a shortened appearance. They have smaller sized, bright red colored wattles and earlobes. Behavior/Temperament Sultan chicken is a very calm, docile and friendly bird. Both males and females are very easy to tame and handle. And also very good as pets and backyard ornamental birds. They are not among the very good foragers, and do very well in confinement. They need special care and dry bedding for protecting their elaborate feathering, especially on their feet. Sultan hens are not among the good egg layers, and do not generally go broody. Hens lay medium sized white eggs. The chicks are slow growing, and take long time for developing. They are good fliers and fences are must for keeping them confined. The Sultan chicken once had a reputation for being a good meat bird, with the breast being large and the flesh being white and delicate. Review full breed profile of Sultan chicken below.